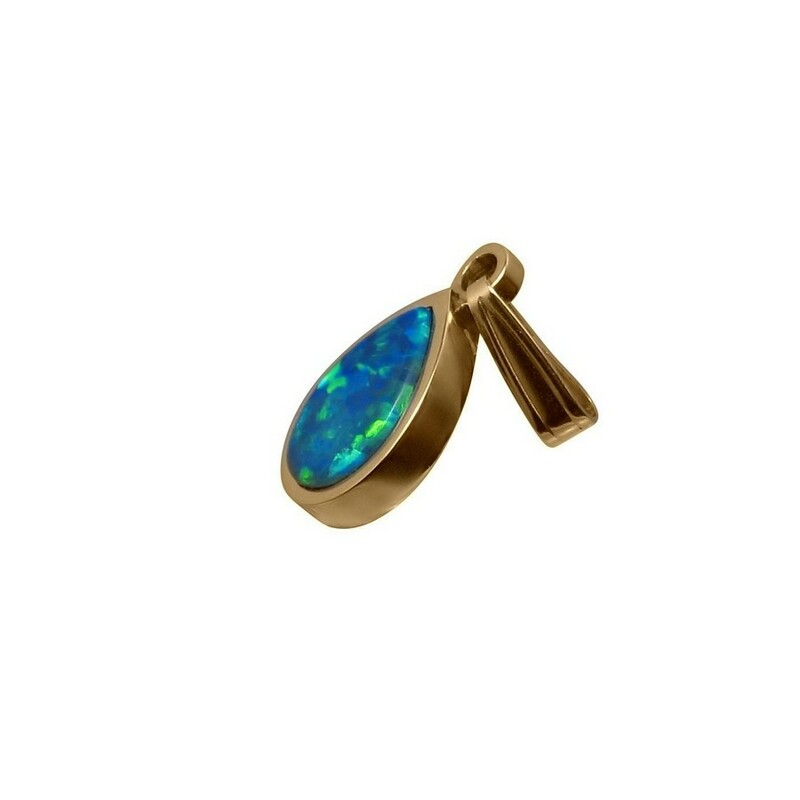 An Opal pendant in a tear drop shape inlaid with a gorgeous Opal set in 14k Yellow Gold. In stock and ready to ship. 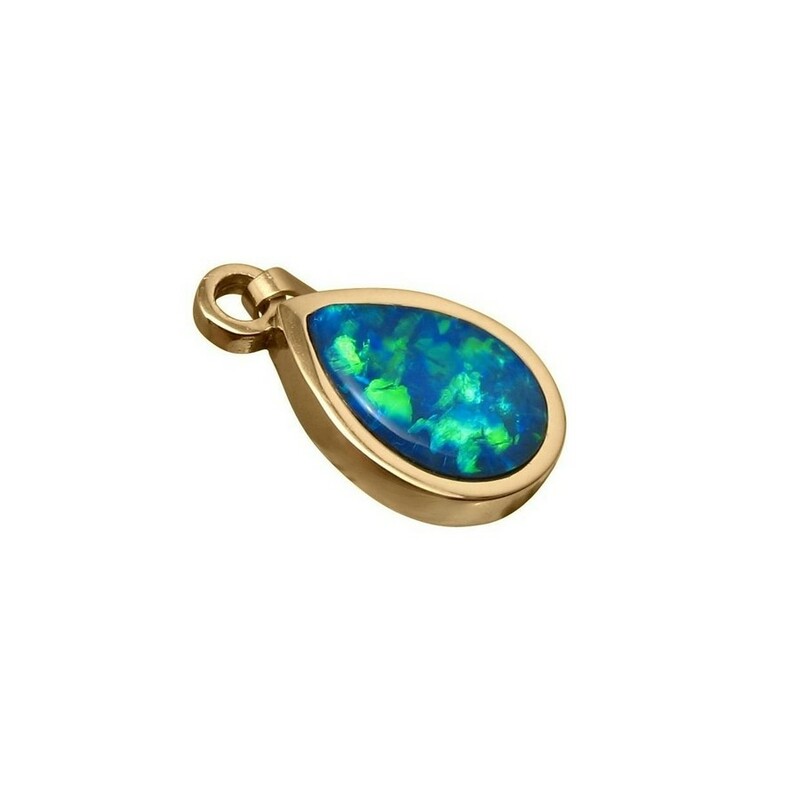 This Gold pendant is inlaid with an extremely bright gem Opal that flashes very bright Blue and Green in a fabulous 3D play of color you will see in the video below. 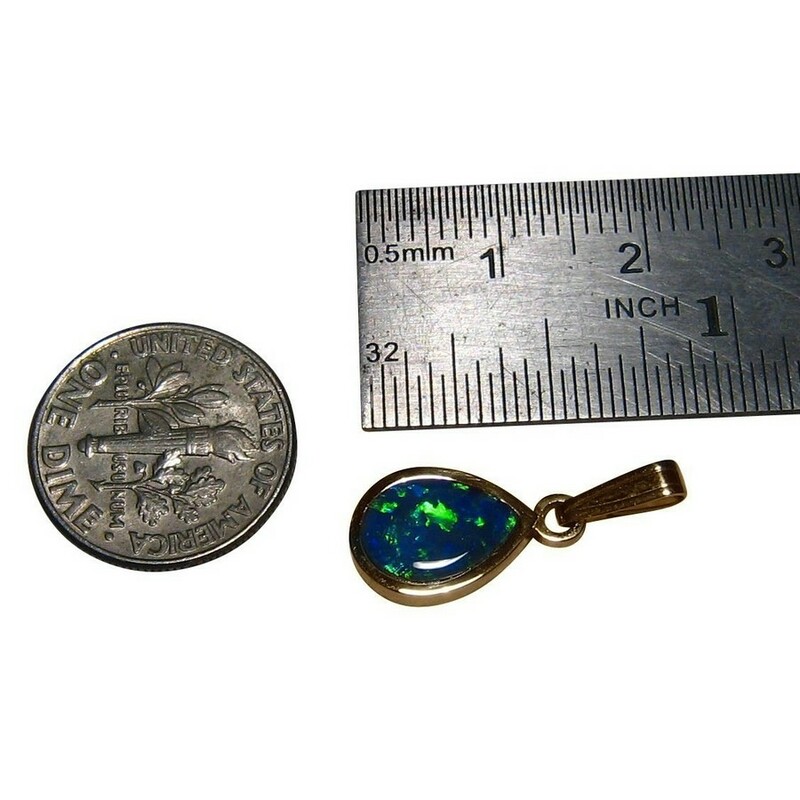 The tear drop pendant is in 14k Yellow Gold and measures almost one inch long including the bale. 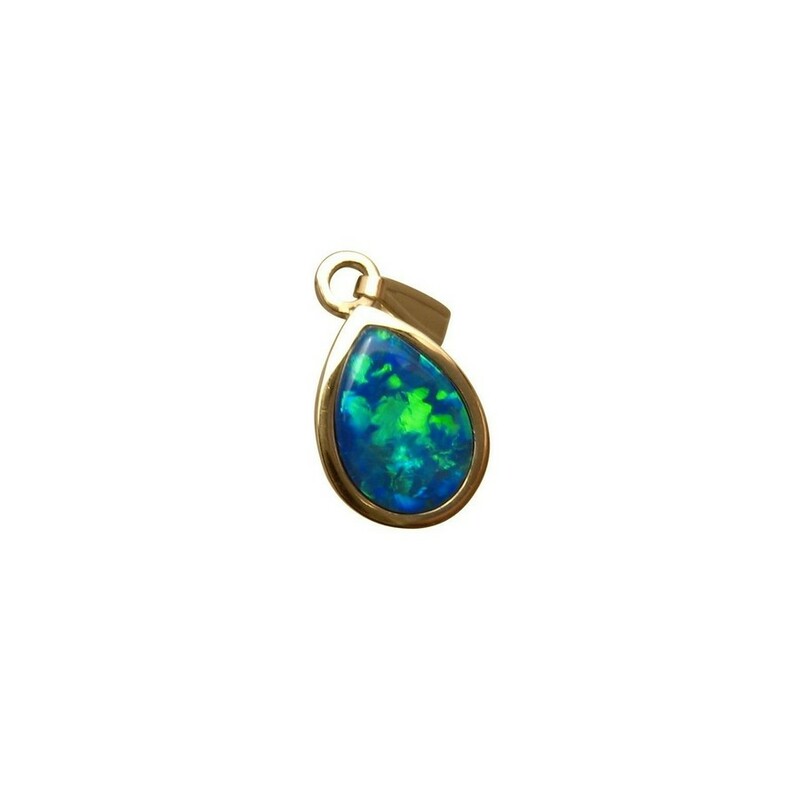 This is a vibrant Opal pendant that is ready to ship now but does not include a chain.